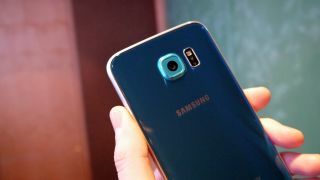 Samsung has revealed that it is going after mobile payments in a big way, using MWC 2015 as its platform to announce Samsung Pay. Unlike other mobile payment systems, Samsung's is said to work seamlessly with current payment systems in shops - so no retail upgrade is required for Samsung Pay to work. This is because Samsung is using both NFC and something called Magnetic Secure Transmission (MST). The latter bit of tech has come about thanks to a partnership with a number of financial bigwigs - including Visa and MasterCard. Samsung is hoping that it has made the technology as easy as possible to use. You will be able to access the app with just a swipe up from the bezel of your handset and a bit of fingerprint recognition. To make sure that things are secure, Samsung Pay won't actually house any sensitive card information - instead it will swap this for a secure 'token' system. Samsung Pay will be available in the US and Korea this summer and will then spread to Europe and other areas soon after.